Herbert Yanamura of Honaunau, Hawaii, was a 21-year-old member of the 96th Division’s language team on Okinawa in 1945. 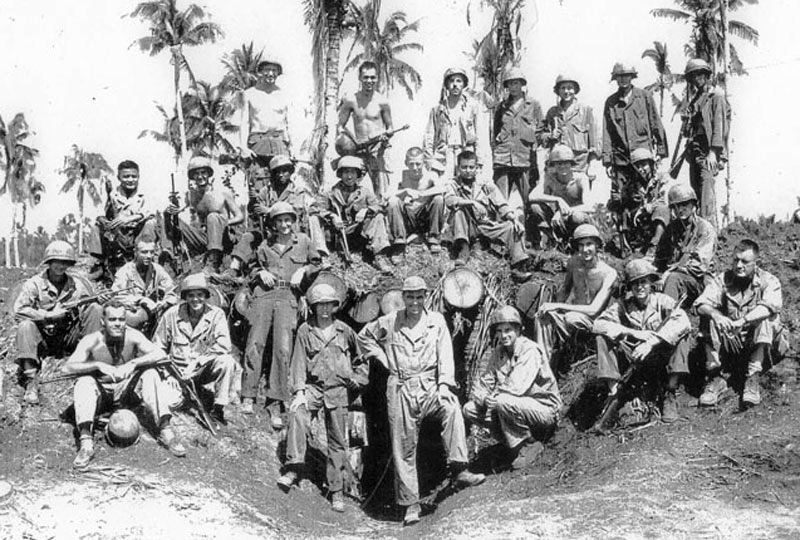 On June 21, Yanamura was with troops approaching the village of Maehira in southern Okinawa. Scouts reported many people in Maehira, so Yanamura’s commander asked him to make a surrender appeal. Yanamura used a loudspeaker to call to the villagers in Japanese. Over several hours, Yanamura made repeated appeals, and more than 1,500 people emerged to enter the U.S. lines and safety. One was a 10-year-old who grew up to become a 78-year-old grandmother, Hatsuko Tomori. In 2013, when Tomori heard that the Okinawa Prefectural Peace Memorial Museum would be honoring the Nisei for their role in the Battle of Okinawa, she recalled her own experience and the Japanese-speaking GI’s appeal to surrender, which she credited with saving the lives of her family and hundreds of others. She took her story to the event organizers, and they eventually reached Yanamura, who confirmed it was he who had communicated at Maehira that day. 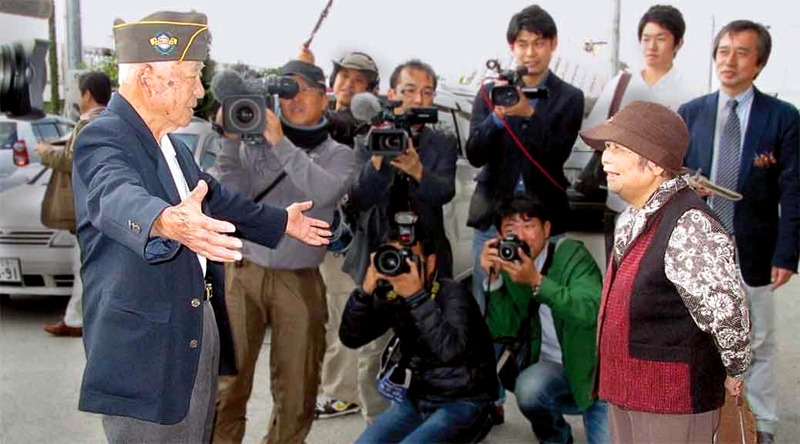 In November 2013, Yanamura was invited to Okinawa for the observance and to visit Maehira, where he was greeted by Tomori, a throng of villagers and news media. “It was a very emotional reunion that included a number of other villagers besides Mrs. Tomori,” Yanamura said. “At that time of the war, it was very gratifying that we were able to convince the villagers to surrender and avoid the terrible loss of life that had happened elsewhere in Okinawa.